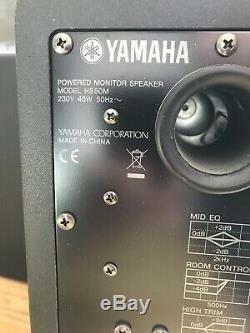 Pair Of Yamaha HS50M Studio Monitors Plus Power Leads & 2 x Stereo cables. Condition is Used but in very good condition as they have been safely in storage. 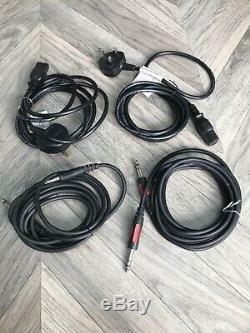 Has 2 kettle power leads and 2 stereo audio cables (male to male). Any questions, let me know. 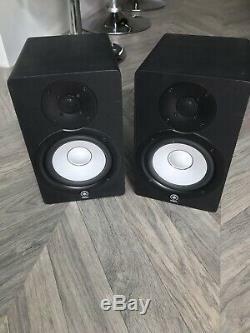 The item "Pair Of Yamaha HS50M Studio Monitors Plus Power Leads & 2 x Stereo cables" is in sale since Thursday, March 28, 2019. This item is in the category "Musical Instruments\Pro Audio Equipment\Speakers & Monitors". The seller is "stueybubba" and is located in Chelmsford. This item can be shipped to United Kingdom, Antigua and barbuda, Austria, Belgium, Bulgaria, Croatia, Cyprus, Czech republic, Denmark, Estonia, Finland, France, Germany, Greece, Hungary, Ireland, Italy, Latvia, Lithuania, Luxembourg, Malta, Netherlands, Poland, Portugal, Romania, Slovakia, Slovenia, Spain, Sweden, Australia, United States, Canada, Japan, New Zealand, China, Israel, Hong Kong, Norway, Indonesia, Malaysia, Mexico, Singapore, South Korea, Switzerland, Taiwan, Thailand, Bangladesh, Belize, Bermuda, Bolivia, Barbados, Brunei darussalam, Cayman islands, Dominica, Egypt, Guernsey, Gibraltar, Guadeloupe, Grenada, French guiana, Iceland, Jersey, Jordan, Cambodia, Saint kitts and nevis, Saint lucia, Liechtenstein, Sri lanka, Macao, Monaco, Maldives, Montserrat, Martinique, Nicaragua, Oman, Pakistan, Paraguay, Reunion, Turks and caicos islands, Aruba, Saudi arabia, South africa, United arab emirates, Ukraine, Chile.